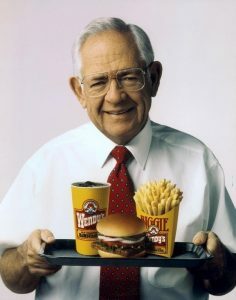 Rex David “Dave” Thomas was the founder and chief executive officer of the fast-food chain Wendy’s. But long before he would become one of the most successful American entrepreneurs and philanthropists, Dave would have to endure difficulties in childhood. Dave was born on July 2nd, 1932 to a young, unmarried woman he never knew. At six weeks old he was adopted by Rex and Auleva Thomas but Auleva passed away when Dave was only five years old. He and his father then moved around the country seeking work. He spent some of his early childhood near Kalamazoo, Michigan with his grandmother, Minnie Sinclair, whom he credited with teaching him the importance of service and treating others well and with respect, lessons that helped him in his future business life. At the age of fifteen, Thomas dropped out of high school and began his career in the foodservice industry. He worked at other well-known fast-food establishments including Kentucky Fried Chicken and Arthur Treacher’s Fish & Chips. He served in the U.S. Army as a mess sergeant, responsible for the daily meals of 2000 soldiers during the Korean War. In November of 1969, Dave opened the first Wendy’s in Columbus, Ohio. He named the company after his youngest daughter. Today, Wendy’s is an international fast food chain with over 6500 outlets worldwide. But Thomas always regretted dropping out of high school so in 1993 he enrolled in Coconut Creek High School and earned his GED at the age of 61. 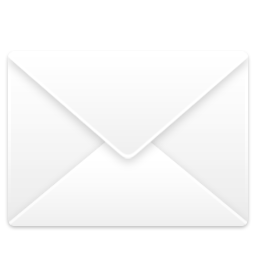 He subsequently became an education advocate and founded the Dave Thomas Education Center in Coconut Creek, Florida, which offers GED classes to adults. He was married to his wife Lorraine for 47 years before he passed away from cancer on January 8, 2002, at his home in Fort Lauderdale, Florida at the age of 69. His daughters still run major operations of the Wendy’s Corporation to this day. There are nearly 2.500 children in foster care in Miami-Dade County. Perhaps there is a Dave Thomas among them. Help us bring out the full potential in every foster child. Be A Voice by donating to their dreams!